Both Arlo and Athena have been riding in style recently in the Silver Cross Pioneer. I’m sure you’ve heard of Silver Cross, they’ve been making prams since 1877, although they look a little different to how they did then! Both Sam and I travelled in style in Silver Cross buggies when we were younger, and in fact both our mums were pretty excited to be able to push one again all these years later! When this gorgeous set of wheels arrived a few weeks before Arlo’s due date I was too impatient to keep it in the box so used it with Athena with the pushchair seat. Now Arlo has arrived it gets used in Pram mode too and swapping between the two is easy! Easy to assemble even at 37 weeks pregnant! Everything is carefully wrapped to protect the pram during delivery, the chassis is ready to go once the wheels are added, no tools required! The rain cover has a handy bag to store it in, and the colour pack (hood and footmuff) does too. I also couldn’t help but notice how big the shopping basket is, and now I’ve used it I can safely say it can fit tonnes in! Changing bag, coats, cuddly toys, the lot! A lovely deep carrycot, with the most luxurious and deep padding I’ve come across on any buggy I’ve seen, including the sides. A nice long length and generous width mean that it should see baby for longer than the average carrycot would. An oval padded mattress adds comfort and allows the odd overnight sleep too, plus any moses basket sheet should fit it to avoid stains or marks. The.combination of the hood and the height of the bumper bar that the apron folds round means that baby is protected from the elements so you don’t have to keep flinging things over the hood to stop the sun from getting in! At first Arlo seemed tiny in the carrycot (we went to an Easter Egg hunt at a local farm when he was four days old) so I made sure to pop a couple of rolled blankets either side of him to keep him in one place as we strolled over the bumpy ground of the farm, but now that’s not a problem as he’s that bit bigger! The carrycot also has rubber feet so you don’t have to worry about the bottom getting grubby. The first thing I noticed when I put Athena in the seat of the Silver Cross Pioneer was how spacious it is even though she’s an almost two year old on the chunky and tall side! There is enough room for her to pop a teddy next to her in the seat with plenty of head room too! The seat is nice and high meaning you can interact with ease. The harness took a bit of getting used to as you have to make sure the shoulder straps are attached in the right place before clipping the waist straps into the buckle, but a few weeks down the line it’s become a lot less fiddly as I’ve got used to it, and no chance she’d be able to unclip herself either! The seat has three recline positions, upright, semi and flat (see above photo) which makes it perfect for napping on the go! The recline is the easiest I’ve ever come across and is triggered by lifting a small level at the rear of the seat at the top. You can do it one handed which makes it easy to do on the go, unlike my other buggies where you’ve had to use both hands at the sides of the seat and then tip the seat back with your knee! The adjustable footrest is another great feature, for little babies just starting out in the seat unit it will extend the seat so their legs can stretch out, and for children of Athenas height it means that her feet don’t dangle off the edge and she has calf support too. 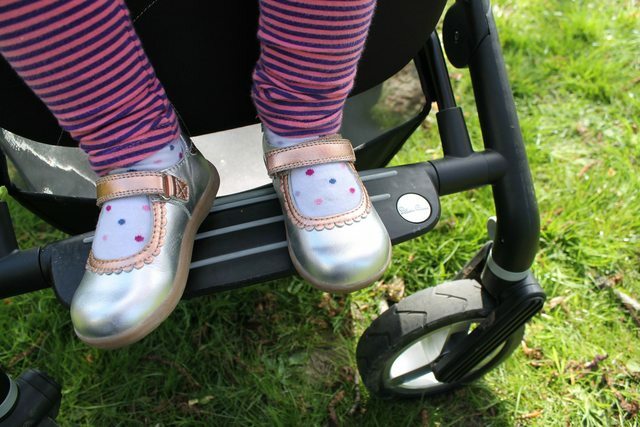 There is also a non slip footrest between the two front wheels meaning that an older child can climb in and out without the need to be lifted, which was a godsend after I had my C section and wasn’t meant to lift Athena! Athena can reach the drinks holder, which is great for when it has her water bottle in it, but might not be so great if mummy has a hot coffee in there! It’s easily removed from the frame though if you didn’t want to use it. I chose the ‘Damson’ colour pack for my Silver Cross Pioneer, which is a bright purple colour, and if you wanted to change the look of the Pioneer you can buy other colours too (one is included in the price) The Hood is used on both the carrycot and the seat unit and if, like me, you use both frequently you don’t have to worry about swapping them over as it’s not at all fiddly. The hood clips on sturdily at both sides of the seat/carrycot and attaches with velcro to keep it in place. The hood is lined with UPV50+ material with a silver lining with helps to reflect heat. There is a pop out sun visor too for added protection, along with the three positions. The rain cover is ventilated and also has a zip for access to your child, no struggling to get into the pram without splashing you and your baby with water from the raincover as you peel it up at one side! We’ve not used the apron in pushchair mode yet as it’s been too warm, but use it when Arlo is in the carry cot. A sturdy and thick apron will keep draughts out and has the stylish Silver Cross stitching and D-ring attached too, matching the style of the hood. The chunky wheels with tread and suspension handled rough terrain really easily which I was impressed with! No chance of a puncture either as they’re not air filled which is a relief. 10″ at the back and 7.5″ at the front, with the option to lock or swivel the front wheels dependent on terrain mean that this is really easy to push considering the size.The rear wheels have the Silver Cross logo on too which is a nice touch! Due to the tread you do have to ‘de mud’ the wheels when you’ve been on a country walk, but that’s a small price to pay for a buggy that can handle the terrain! I was using a lighter three wheeled stroller before this so going up kerbs took a bit of getting used to and was a little tricky for the first couple of weeks post C-section as you have to push down on the handle bars to get the front wheels up but once I got my strength back and got used to controlling 4 wheels not 3 it’s now a lot easier, although often even very low kerbs need a bit of a push to get over. The brake is simple to use, press down on the red pedal to apply them, then press on the green button just above it to release it. Looks neat and works a treat. My husband and his gigantic feet also appreciate the cross bar being further forwards and the brake on one side as he doesn’t kick either as he walks. The handlebar extends high enough for him (at 6’6″ to push with ease, and I generally use it on the lowest setting at 5’3″, plus there is a middle setting too. 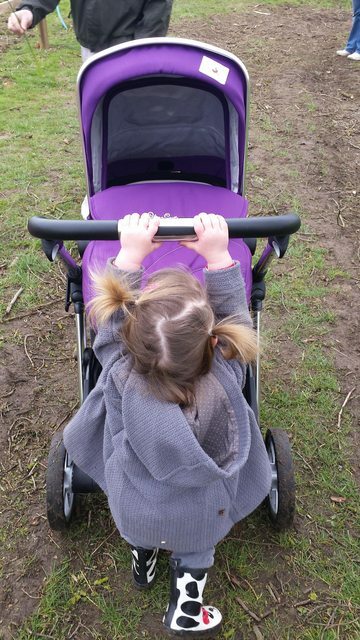 Extending the handlebar is as easy as gripping the button in the centre and pulling up or pushing down! A leatherette cover means it looks stylish and doesn’t get soggy in the rain. Folding is easy but two handed, and can be done with the pushchair seat on facing forwards. I found it easier to fold with the brake applied and the front wheels locked. Unfolding is as simple as un-clipping the safety catch and pulling the handlebar towards you. It would be nice of the harness came with shoulder pads, for added comfort, I was surprised they weren’t included. A little storage pocket on the rear of the pushchair seat would be an added bonus, just big enough for your keys and phone for a quick trip out. Finally a viewing window would be appreciated for when the pushchair is facing outwards so you don’t have to stop and peer round the hood to see if your baby has fallen asleep or not! The latter two are both fairly pinickity things but it would be great to see any future versions of the Pioneer come with shoulder pads, or for them to come with the hood and apron pack so they match in colour. Stylish, spacious (for baby and shopping) and will easily see you from birth until you no longer need a pushchair due to the height of the seat! Very sturdy and great for our family needs, shopping in town, trips on the train and country walks. 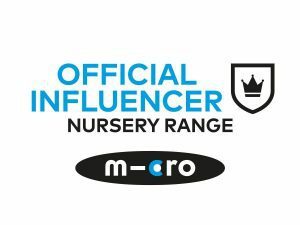 When we were walking out of a shop last week I heard a girl say to her mum ‘I wanted one of those prams…’ and gestured to the Pioneer, so it’s definitely desirable! 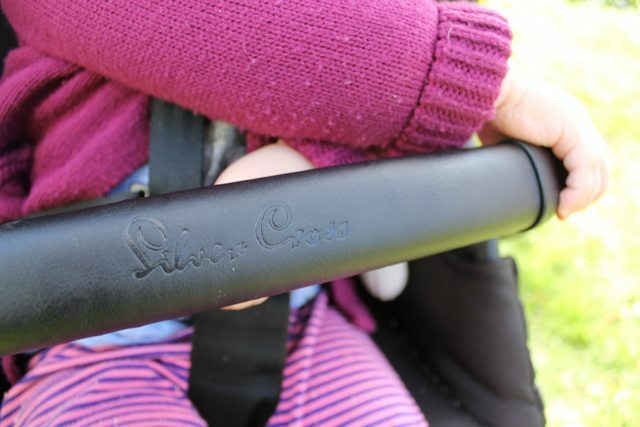 Both my newborn and my toddler are happy and comfortable, both Sam and I can push, fold and carry the Silver Cross Pioneer easily, as can Athena… what more can you want? Weight: Chassis 7.5kg, Seat/Carrycot 3.5kg each. £650, which I think is a fair price considering the accessories you get, and the fact you wouldn’t need another pram as this will take you from birth to toddler. The huge basket and spacious seat is a definite selling point and all the gorgeous Silver Cross detailing is a brilliant reminder that you’re the owner of a well built pram from the company that makes prams for royalty! Thus pram looks beautiful. I’m on the hunt for a new one as baby number three is on the way. My last pram was used with my first child neatly eleven years ago but died a death after lots of use with my second child too. I’d love a pretty pram like this but I really want a three wheeler again ax I do lots of walking. That looks and sounds fantastic! I do love the colour! What a gorgeous coloured pram. Great, informative review and it is a beauty. Love the design and especially love the colour. If only I needed one, broody, broody! Love the traditional pram look. I think I was pushed around in a Silver Cross pram too. Ahh what an iconic brand! Me and my brother were pushed in a traditional Silver Cross pram. I love this!! Such a gorgeous colour too, if I didn’t already have a decent pram……. What a beautiful pram! And if both the kids are happy it seems to be a win-win situation! It’s a lovely looking pushchair. The colour is very nice and the huge basket is a bonus. I love ho beautiful it is. Also the fact that the carry cot and pram are interchangeable and can parent face, When my boys were little there was ONE buggie that parent faced! What a gorgeous looking pram and it seems very versatile. 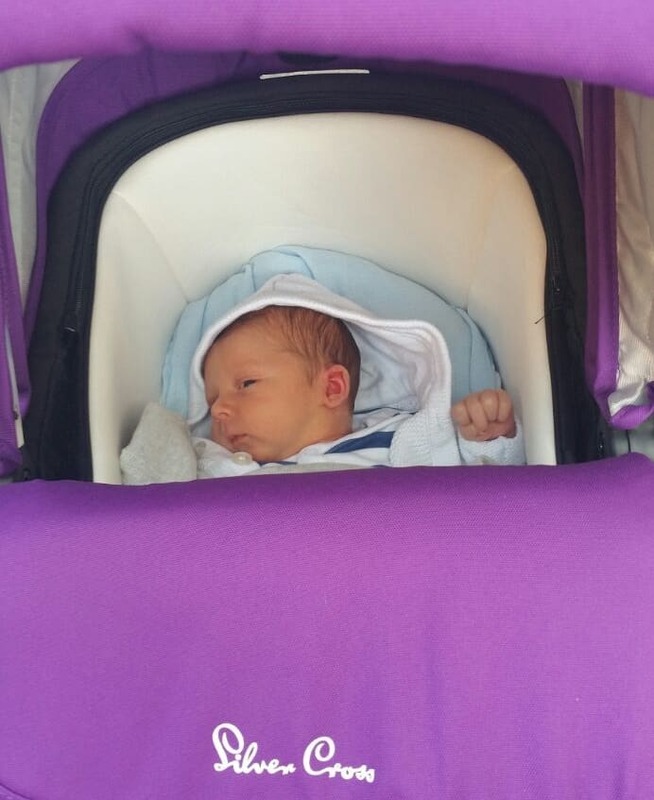 I love silver Cross, I think they’re a great brand and this looks like a lovely pram, – I really like the colour. What a lovely pushchair! My Mum had a Silvercross for me and we had a Silvercross 3D for Liv when she was born. wow i am totally loving the colour and that shopping basket .. most prams can’t get half as much stuff in them these days! I love the colour of this andbhow big the basket it. Very interesting information about stroller. Thanks for that. I have follow your posts. They are really inspiring. How do you write such a good content? I`m blogger too. What’s inspire you ? Thanks for info. Keep going forward and do not listen to negative people.